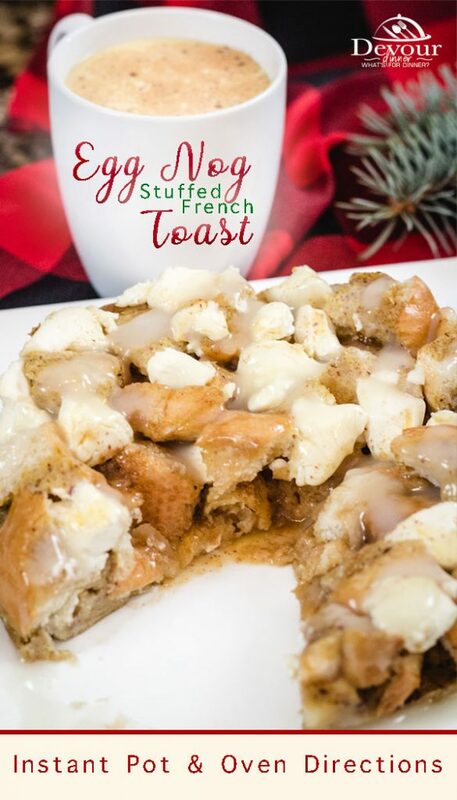 Eggnog Stuffed French Toast is a holiday favorite with cream cheese, rum and Eggnog. 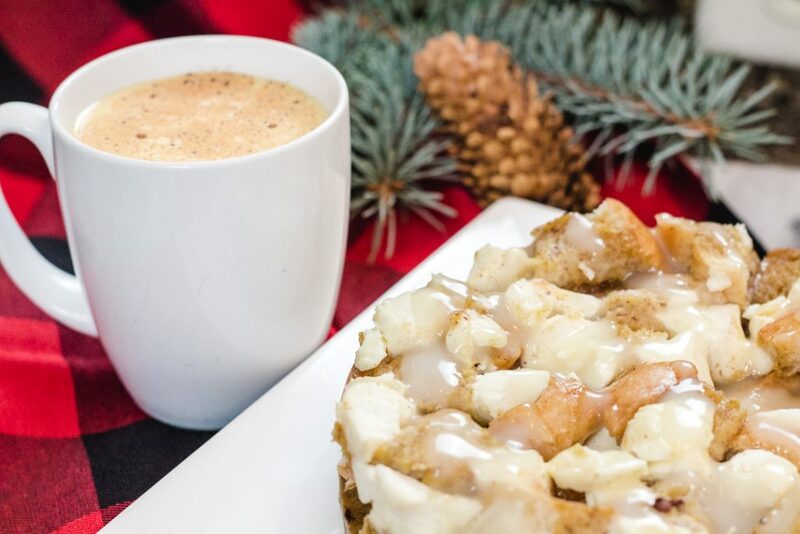 As Pumpkin is to the Fall, Eggnog is to Christmas and this Stuffed French Toast Recipe won’t disappoint. Okay, Let’s talk for just a moment. I love most everything sweet and I’m down for just about any combination on my French Toast. 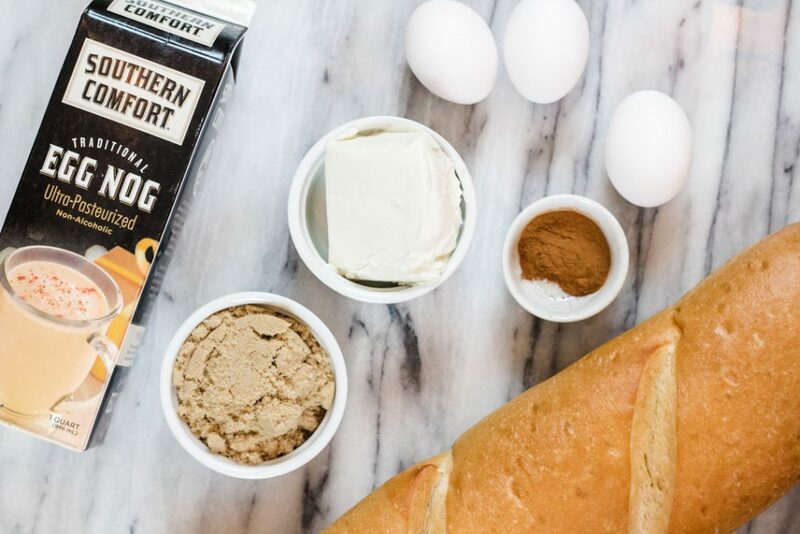 This Eggnog French Toast is a party in your mouth. WOW! 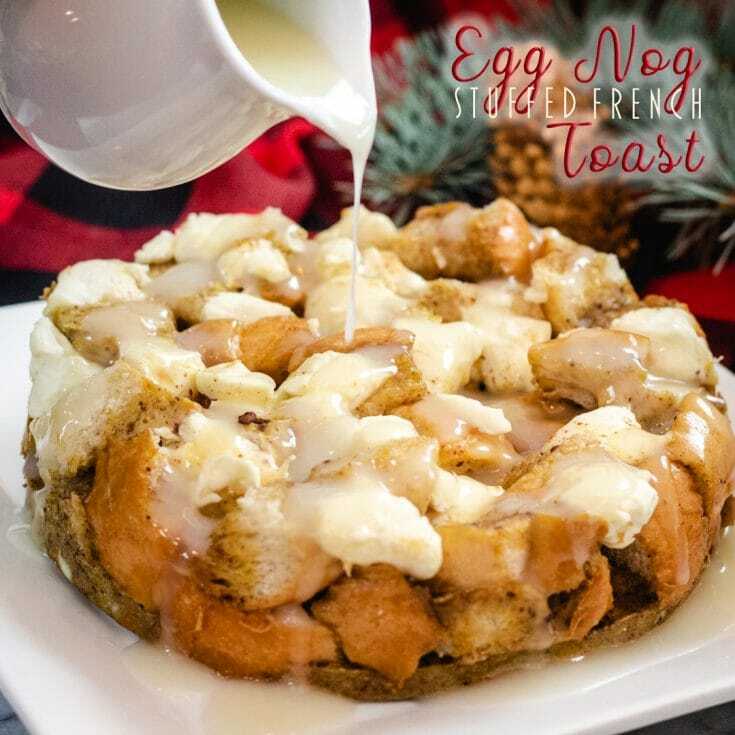 I love how easy this Eggnog French Toast is to throw together. In minutes I can cut up the bread and whisk together the egg mixture and then throw into the oven. I can clean my kitchen while it bakes and quickly my family has a great breakfast that they love. Stuffed French Toast makes my mouth water. I love the combination of flavors that are a party in my mouth. 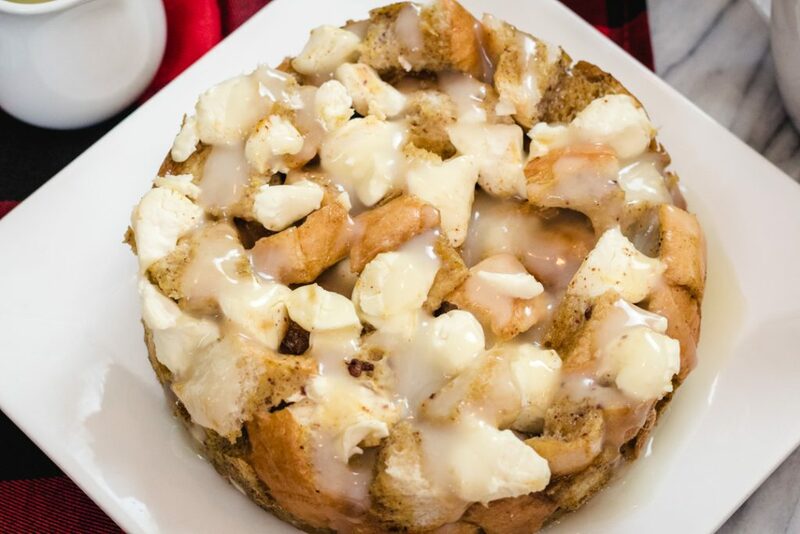 Eggnog Stuffed French Toast is just one of those recipes. It’s amazing and it’s just simple. This recipes uses the Instant Pot 2 tier stackable pans. 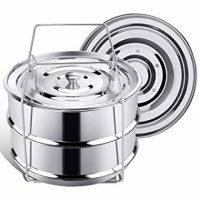 However, you can also use a springform pan for the Instant Pot, or even a glass 8×8 pan for the Oven. It makes no difference. 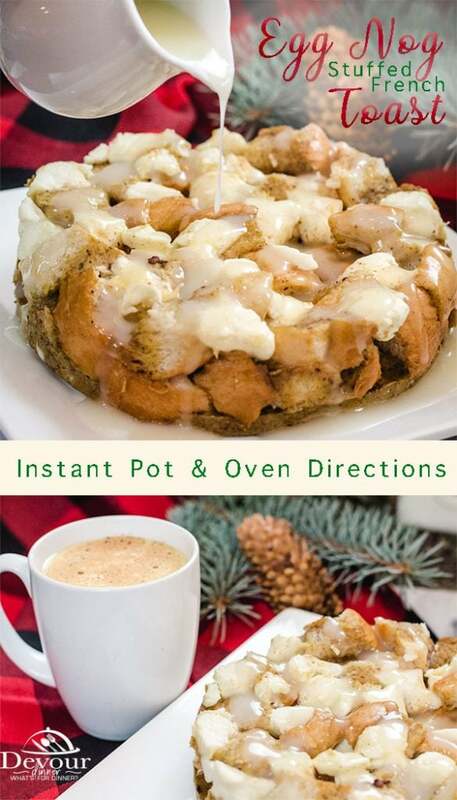 You will find both directions for the Instant Pot and the Oven in the Recipe Card below. What is Baked French Toast? Baked French Toast is very similar to your traditional French Toast made on the stovetop, however the bread is typically cubed and an egg mixture with cinnamon and milk is poured over the top. If you have followed my recipes long enough, then you know the answer is YES! We love to make substitutions. Take a look at the recipe card notes for additional Substitutions that work in this recipe. What is Stuffed French Toast? Stuffed French Toast is french toast that is stuffed with added ingredients. In this case we have added brown sugar and cream cheese to the bread cubes. Then a rich creamy eggnog egg mixture poured over the top. Why is my French Toast Soggy? There isn’t much worse than Soggy French Toast. There is a fine balance of bread to egg mixture. Try adding more bread next time and make note for the future. Another Ah-MA-ZING French Toast Recipe is this one with fruit which can also be made in the Instant Pot or in the Oven. The possibilities are endless really, which is why I love this Stuffed French Toast Recipe. Easy French Toast with Fruit. With the 2 Tier Instant Pot Stackable Pan you can make both Recipes at once with just 1 loaf of French Bread. Bonus, if you ask me! Stuffed French Toast is wonderful for a Holiday or weekend breakfast or dessert. Serve with cups of Eggnog for an added treat. Have you tried these Recipes? Save and PIN for Later! 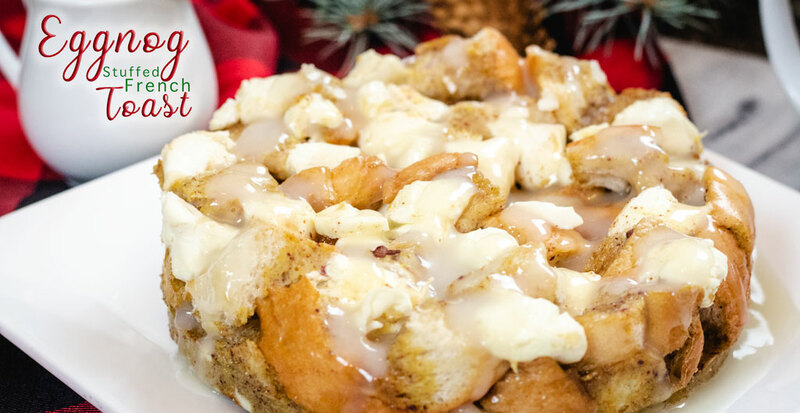 Add a bit of Holiday Cheer with this Eggnog Stuffed French Toast. Directions for both Instant Pot and Baking. 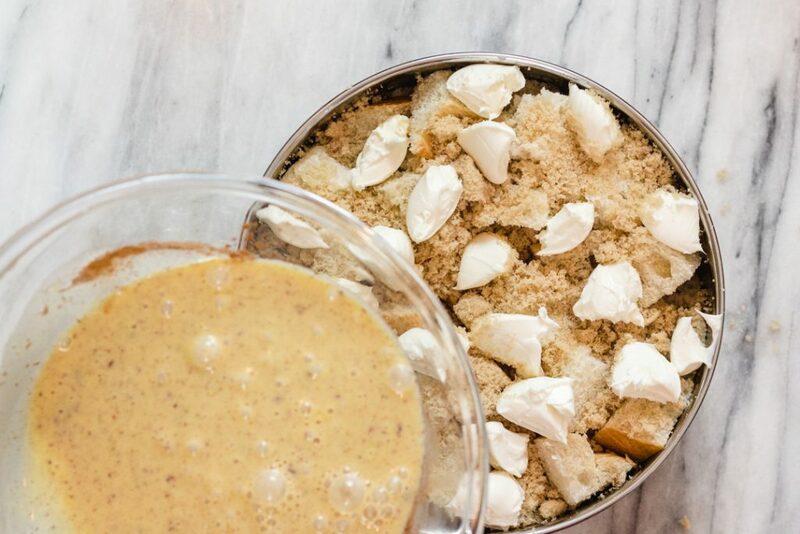 This will soon be a family favorite Holiday Recipe. Slice French Bread into 1 inch cubes and place into pan. Tuck down wedging bread into the bottom of the pan and 2nd layer so that bread is more packed. Not too tight but not loose. Sprinkle Brown Sugar over top of bread mixture. Cut small teaspoons of cream cheese on top of bread mixture. In a separate bowl, combine Eggnog, Eggs, Cinnamon and Rum Extract. Whisk to combine. Pour Egg Mixture slowly over bread trying to cover each piece. Cover pan with either foil or the pan lid. Pour 1 1/2 cups water into Instant Pot. Set Instant Pot to Manual for 25 minutes. Quick Release. Flip Stuffed French Toast out of pan onto a plate. Set Oven to 350 degrees and Bake for 25-30 minutes. Serve with Rum Butter Syrup! Boozy Option: Substitute 1 Tbs Rum for 1 tsp Rum Extract *note, Instant Pot directions will not burn off the alcohol.